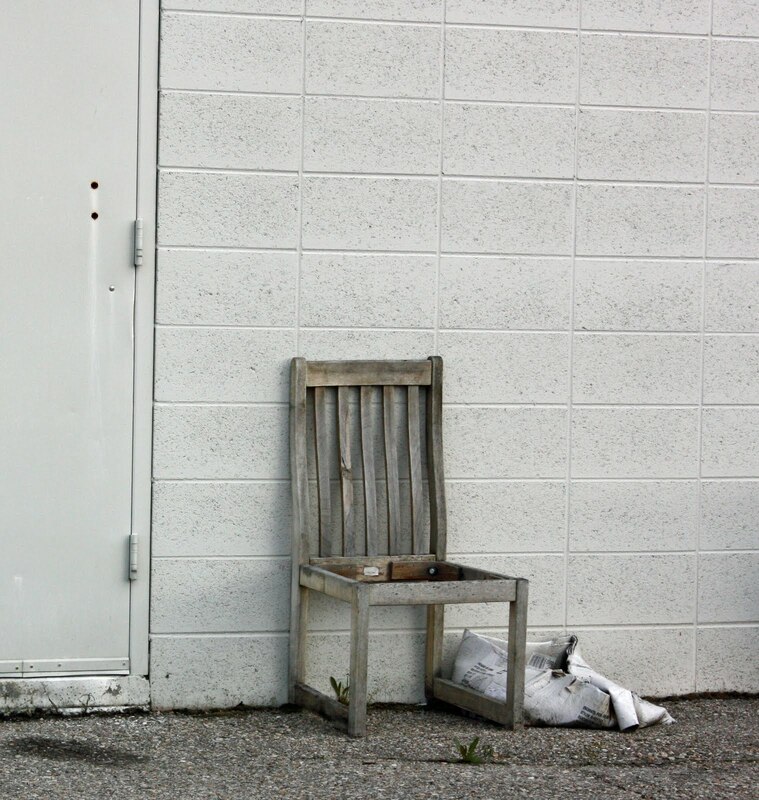 A chair skeleton in a business back alley. This looks almost like a black and white photo, but this really was just all the natural color there was to be seen. Just put an electric current to it and it could still be used. That's a modern art photo!